Welcome to RR&B Garages, one of the world’s leading independent Rolls-Royce and Bentley Motor Car Specialists. Managing director Ian Pinder, served his apprenticeship in the servicing and restoration of Rolls-Royce and Bentley Motor Cars and founded RR&B Garages in 1984 within a small rented work shop with the capacity for three cars, with the ambition to provide one of the best facilities for the Service and Restoration of Rolls-Royce & Bentley Motor Cars. We offer servicing, restoration, and sales of classic Bentley and Rolls-Royce motor cars. All the work we carry out is done so to the highest standards of quality and craftsmanship. Our workforce of fifteen expert staff – some of whom have received factory training – have a total Rolls-Royce and Bentley knowledge exceeding over 100 years. 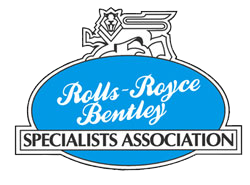 Since 1996, we have been a member of the “Rolls-Royce and Bentley Specialist Association”. We are one of only 30 accredited companies worldwide, meaning we hold the greatest pool of knowledge and expertise. Our business has steadily grown over the years, and we now boast a high quality, purpose-built building with twenty-five car capacity. This, along with our century of experience, has seen us establish an enviable reputation within the classic car world. We strive to maintain the excellence in standards and quality set out by Sir Henry Royce and W.O. Bentley, while embracing all the electronic technology involved in the current Rolls-Royce and Bentley motor cars.